Already using Google Ads? Get a free audit. 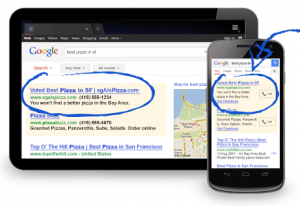 We offer a complimentary evaluation of any existing Google Ads campaign. Here’s why. In our experience, most businesses that are currently using Google Ads are wasting money. They’re spending too much on clicks, and they’re not taking advantage of all the ROI-boosting features within the platform. 95% of our free audits reveal ways that businesses can start generating more clicks for less than they’re currently spending. See how to get more clicks for less money! Our free Adwords audit comes with no strings attached. We’ll identify any mistakes that are costing you money, as well as improvements you can implement immediately to enhance your results. We’d love to take over the management of your account, to ensure you’re maximizing your ROI every month. But of course there’s no obligation to continue working with us! If you just want to implement the tips in your free audit, we understand. We’re here to help! Start with our free guide. We’ll follow up by email. To request our free Adwords audit, simply fill out the form on the right. You’ll get our free guide, which includes our Adwords management pricing and other information on how we help businesses maximize their ROI. We’ll also follow up by email to discuss your individual needs and answer any questions you have.